I'm pretty darn excited about KPRS' Summer Jam II. The only thing lacking is a decent promotional poster. Kansas City Click: Rust never sleeps. Neil Young visits The Sprint Center tonight. I hereby declare my intention to lobby for a Western swing revival. After all, what could be better than a mashup of country and jazz? The awkwardly titled On The Air 1947-1949: Western Swing from South California combines fiddle, accordion, pedal steel and vibes. It's plenty weird. 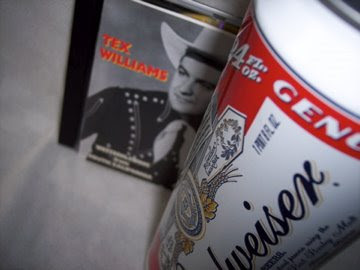 Tex Williams' interesting career is best remembered for "Smoke Smoke Smoke." Don't miss the video. I liked The Gaslight Anthem but I loved Heartless Bastards. Here's my review of their show. I wonder if I'm the only person in the world who intends to acquire today's new releases by both Bob Dylan and Tech N9ne. Kansas City Click: Barclay Martin plays pretty tonight at Jardine's. I don't yet own the new compilation The Early Years: 1962-1967 (a first for a title featured at There Stands the Glass), but I just couldn't wait to post Mack Allen Smith's version of"Mean Ole Frisco." On the surface, it's just another Elvis Presley-inspired bit of hillbilly pop, but there's something about the achingly sincere and nakedly aspirational performance that I find deeply moving. The talented journeyman has also written a couple books, including the fictional Honky Tonk Addict. A YouTube search on Smith turns up a fun novelty tune and a decent countrypolitan cover of "It's Only Make Believe." I watched The Heartbreak Kid last night. Call me a simpleton if you must- I really liked it. The use of music in this scene is my favorite bit. The look on Ben Stiller's face at :45- keep in mind that he just married this woman- encapsulates the often awful moment of clarity that can only be provided by music. This remarkable short film makes excellent use of a piece by E.S.T., the late Esbjorn Svensson's group. Kansas City Click: The mighty, mighty Architects begin a two-night stand at The Czar Bar Friday. Heartless Bastards support The Gaslight Anthem Saturday at The Beaumont Club. The Wild Women of Kansas City return to Jardine's on Sunday. It happens. Sometimes a great album is hidden inside deceptively atrocious packaging. 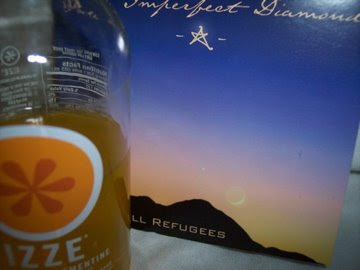 Its unfortunate appearance aside, Pale Imperfect Diamond by Cedar Hill Refugees is easily among my favorite albums of 2009. It combines the likes of Marty Stuart, Greg Leisz, Ron McCoury and Harry Stinson with Uzbek musicians. As demonstrated on "Keys To the Kingdom," featuring the unmistakable voice of The Almighty Ralph Stanley, the result is often surprising and never less than intriguing. More information is available at Effigy Records. I'm amused that so many partisans of hard rock and heavy metal- stylistic genres ostensibly representing freedom and rebellion- are so conservative and reactionary. Here's my review of last night's Chris Cornell show. Unlike this guy, I loved the concert. Mac Lethal has birthed yet another first-rate video. The New Low Down offers a podcast interview with Andrew Connor of Ghosty. Kansas City Click: I'm not particularly excited that The Toadies are at The Beaumont tonight. I realize the statement makes me the odd man out, but I prefer Burden Brothers. Since I don't have a CD player or satellite radio in my car, I often find myself listening to Bob Parlocha when I drive late at night. I'm fascinated by the old school sensibility of the syndicated jazz jock. A couple weeks ago I caught him raving about Jay Thomas. And the trumpeter is very good. He strikes an elegant balance between the classic swing of guys like Ruby Braff and post-Miles modernity. "Easy Living" is from 1993's Blues For McVouty. It's also one of several MP3s also available at Thomas' site. The new album from Medeski Martin & Wood is really good. It's strikes me as an imaginative combination of Nine Inch Nails, The Meters and Art Tatum. OK, I'll admit it. Kris Kristofferson made me cry Friday. Here's my review. I just received word that Rhythm & Ribs, Kansas City's annual blues and jazz festival, is taking a "hiatus" in 2009. Today's Plastic Sax post stimulated a nice discussion. I'm proud of my Kansas City jazz site. Kansas City Click: Lonnie Smith hits The Blue Room tonight. In a shocking announcement that rocked the indie rock world, The Decemberists have selected Purple Stuff, a DJ Screw tribute band, as the opening act for their summer tour. "We felt our fans needed to be challenged," explained Decemberists front man Colin Meloy. "And Purple Stuff represents where it's at in 2009." 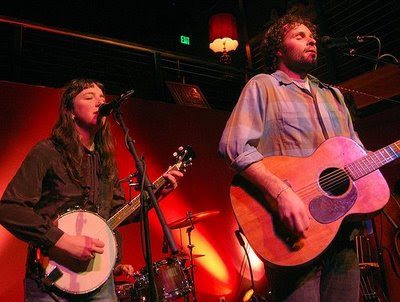 Fellow Portland band Blind Pilot have been tapped to support The Decemberists' forthcoming tour. They specialize in the kind of hyper-articulate art-rock that appeals to The Decemberists' discriminating fans. 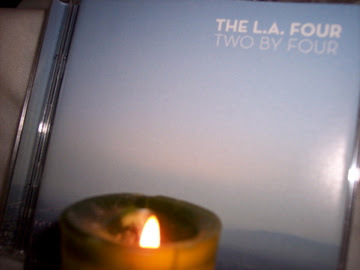 "The Story I Heard" is a typically smart example from the band's excellent 2008 album 3 Rounds and a Sound. The evocative video for "Go On Say It" perfectly captures Blind Pilot's sensibility. Saturday is Record Store Day. In my town, Vinyl Renaissance is hosting in-stores by The Classmen and Lee Dresser of The Krazy Kats. I like Tech N9ne's new video for "Red Nose". Kansas City Click: The Rich Boys and comedian Andy Andrist are part of the loud and obnoxious bill Friday at The Czar Bar. The Mingus Big Band plays The Gem Theater Saturday. The Kansas City Civic Orchestra performs Sunday at The Folly Theater. The era of media saturation doesn't afford many opportunities for surprise. So I was thoroughly delighted by the shock I received when I discovered the identity of Mike Farris. I had repeatedly listened to an advance copy of Shout! Live without bothering to look at the promotional one-sheet. It's refreshing, I thought, that a major label is releasing a live album by an unknown fifty-year-old soul and gospel singer. I reckoned Farris resembled Otis Clay. Only when I began to assemble this post did I discover that Farris is the dude from Screamin' Cheetah Wheelies. "Surprise! Surprise! Surprise!" A trustworthy friend urged area music writers to attend a women's singer-songwriter event last night. He hoped to build awareness for a woman named Cheri Woods. I'm glad I showed up. Woods' unaccompanied spoken word/song recital was equal parts Jack Kerouac and Iris DeMent. She exudes a guileless air of folksy authenticity. The woman doesn't even have a MySpace, but I managed to dig up this video. I reviewed Friday's Derek Trucks concert. I stayed in the next night. Naturally, I tuned in to Sabado Gigante. Yanni, of all people, was featured on my favorite variety show. "There are no rules," he asserts in this promotional video. He's a musical rebel! Kansas City Click: Organist Everette DeVan appears tonight at The Phoenix. Lucinda Williams has nothing on Eilen Jewell. Sea of Tears, slated for release April 21, opens with the world-weary yet sensual "Rain Roll In." 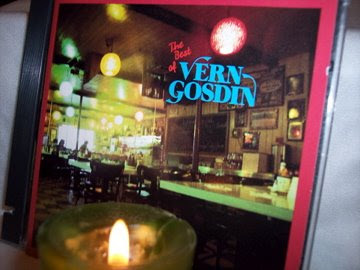 The remainder of the album simmers with similar intensity. Deliberately low-key, it's a quiet, painfully honest effort that will instantly register with fans of Car Wheels On a Gravel Road and Blood On the Tracks. 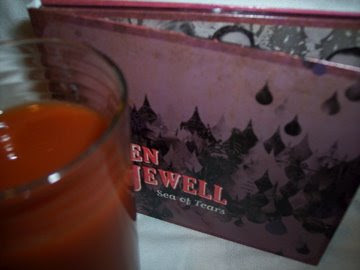 Jewell will be on tour for the remainder of 2009. Here's an evocative live video. My friend BGO informed me of Nancy Overton's death. Don't tell me you didn't love "Lollipop" and "Mr. Sandman". I reviewed Aterciopelados' show earlier this week. Kansas City Click: The Wee Trio perform the late show tonight at Jardine's. Jay Blackfoot, Shirley Brown, Theodis Ealy, Latimore, Marvin Sease and Mel Waiters are on the bill at a woefully under-promoted blues show Saturday at Kemper Arena. Jason Isbell and Justin Townes Earle hit Knuckleheads on Sunday. Jazz saxophonist and flautist Bud Shank died April 2. He was 82. Long a favorite of straight-ahead jazz fans weaned on Stan Kenton, Shank's playing, at least for me, became increasingly compelling as he aged. 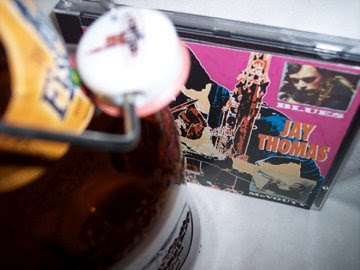 He's heard to great effect here with The L.A. Four- a collaboration between Shank, Laurinda Almeida, Ray Brown and drummers Shelly Manne and Jeff Hamilton. "Williwaw" is from a 1978 date included on this collection. In addition to seeing The Game, I caught the Kansas City Symphony (my notes) and Steve Coleman (my review) last weekend. I'm a fan of the new CD Baby Hip Hop Podcast. Listeners partial to the underground sound favored by the Black Clover and Rhymesayers labels will dig it. Kansas City Click: Aterciopelados make their Kansas City debut tonight at The Beaumont. Hip hop is the most sonically interesting, lyrically challenging and culturally important music of the last quarter century. So why does hip hop so often fail to thrive in a live setting? The Game, one of today's biggest and best rappers, was simply awful last night at The Granada Theater in Lawrence, Kansas. It was so excruciatingly disappointing that I abandoned the club 45 minutes into The Game's performance. Almost everything that makes The Game's recordings excellent- brilliant street poetry, innovative beats, contrarian perspective and relentless sense of danger- was absent. Had it not been for his distinctive facial tattoos and gruff voice, I might have suspected that the star had been replaced with an annoying impostor. The Game seemed far more interested in popping bottles and bringing acolytes on stage than in performing music. Even when he remembered that the sold-out room was packed with fans who had forked over $30 to see him, The Game frequently demanded that his DJ spin hits by other artists. "I pay homage," he explained. "It's what I do." It's no different than if Radiohead spent much of a concert chatting up fans in the front row and playing covers of hits by Coldplay and The Cure. What's the point? Because he's a gifted artist, The Game's lack of effort was exceedingly frustrating. Nipsey Hussle, on the other hand, was just plain bad. With his long hair, slight frame and juvenile obsession with marijuana, Hussle recalled fellow Los Angeles artist Snoop Dogg. But where Snoop is clever and charismatic, Hussle is amateurish and annoying. Kutt Calhoun was far better. It didn't hurt that the Kansas City rapper brought much of his Strange Music family with him. Tech N9ne, Krizz Kaliko, B-G Bulletwound and Big Scoob helped him out. Calhoun may lack The Game's talent, but unlike the headliner, at least he gave it his all. The liner notes to a 2000 compilation of the man's solo work characterize Brendan Croker as "Britain's answer to Ry Cooder." That's fair. He's a master collaborator. 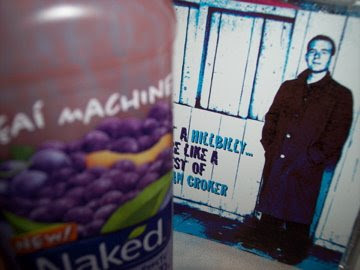 Most famously, he worked with Mark Knopfler in The Notting Hillbillies. Even He-Who-Must-Not-Be-Named-In-This-Space makes a guest appearance on this collection. Even so, Croker's lovably shambolic roots rock seems more in keeping with J.J. Cale, Nick Lowe and Lowell George. If Prince and Pharrell Williams holed up in a Wichita studio during a tornado, they might come up with "A.D.D." I have a spotty track record when it comes to predicting hits, but I'm convinced that if given half a chance, the new song by XV could become a monster. Here's an update on the case of murdered reggae star Lucky Dube. Kansas City Click: Steve Coleman makes a rare Kansas City appearance tonight at The Blue Room. A tribute to Muddy Waters continues Saturday at B.B. 's Lawnside BBQ. The Life and Times headline a strong Sunday show at The Record Bar. Hillbilly jazz. The phrase is a decent two-word approximation of my musical sensibility. It's also the title of one of my favorite albums. 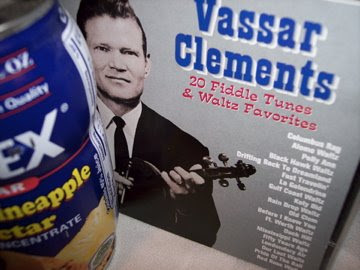 The project was spearheaded by the late Vassar Clements, one of America's great fiddlers. 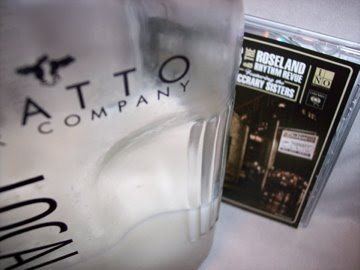 Prior to Hillbilly Jazz and his heralded work with The Nitty Gritty Dirt Band on Will the Circle Be Unbroken and with Jerry Garcia in Old and In the Way, Clements recorded a string of fiddle tunes and waltzes. "Fast Travelin'" is 59 seconds of delightful flash. 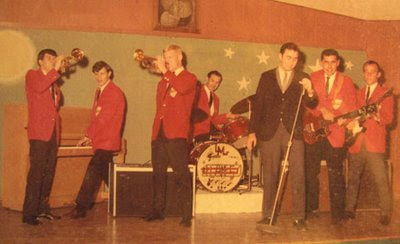 Riverrock's heyday was before my time but the Kansas City-area country-rock band has reunited. Duane Jarvis died today. He was a really nice guy. Kansas City Click: The New Vintage Big Band plays tonight at B.B. 's Lawnside BBQ.